We’ve already reported about the changes that started over a year ago at Schooner Brewing (formerly Schooner Exact Brewing). The changes involved, among other things, a shift in ownership, a complete rebranding (new name), and some major adjustments to the restaurant side of the business. Add to that news of a temporary closure early last year and news that the brewery was now also producing hard seltzer under a licensing agreement with San Juan Seltzer, and it has been an eventful 12 months for Schooner Brewing. More news today. Effective at the end of business today (January 18), the kitchen is closed at Schooner Brewing. The taproom will now only offer light pub snacks, like pretzels and snack mix. Also, they’ve changed the operating hours and are now open Wednesday through Sunday (closed Monday and Tuesday). No news yet on when, of if, they intend to reopen the kitchen. Effective immediately, Schooner Exact is a brewery with a beer-only taproom. Kind of. There’s more to the story. The other news today is that Schooner Exact is now partnered, more officially, with San Juan Seltzer Company. Basically, the two company’s have merged and become one entity. They’ve worked together by way of a licensing relationship since the spring of 2018 when Schooner began brewing and canning San Juan Seltzer’s spiked sparkling waters at its SoDo brewery. According to a press release from the company, with the merger management has decided to close Schooner’s restaurant, effective end of business on Friday, January 18, 2019, to focus solely on producing craft beer and spiked sparkling water. The Schooner Brewing taproom will continue to stay open and serve its existing and growing portfolio of beers to its loyal customers. New operating hours are Wednesday thru Sunday from 3-9 p.m. Along with beer, they’ll serve spiked sparkling water and light bar snacks. The changes are effective Wednesday, January 23. Schooner’s Head Beer Brewer Joel Stickney, who has been with the brewery for nearly seven years, and the Schooner brewing team are excited to focus on creating and expanding new beer offerings both here and in Japan, a growing market for American craft beer. 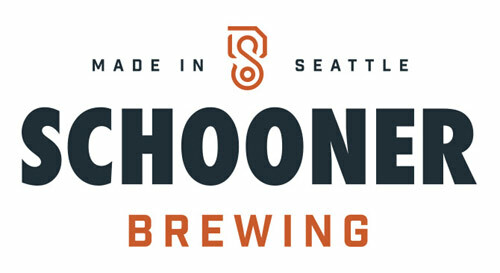 Schooner Brewing is one of our local breweries that has successfully entered the burgeoning craft beer scene in Japan. San Juan Seltzer, which is the first spiked seltzer company based in the Pacific Northwest, competes in one of the hottest and fastest growing adult beverage categories. Why is it so hot? Well, in part, it’s because San Juan Seltzer provides an adult beverage option that is low calorie, with no sugar and no carbohydrates. It clocks in at 4.2 percent ABV and has just 85 calories, with zero sugar and zero carbs, per 12-ounce serving. Also, spiked sparkling water is a gluten-free product. One thing is for sure, we will keep our eye on Schooner Brewing and San Juan Seltzer as things continue to evolve. …. or circling the drain. It’s too bad that all of the work and accomplishments of Matt/Heather is getting flushed away. Surprised of how quickly things seemingly spiraled down. Ooo, Hazy IPA!! How edgy! They have gone downhill so quickly. At one point they were one of our favorite breweries in Seattle. I feel that as soon as they opened the original restaurant, they lost focus on the beer and were never the same. I no longer see their beer in any stores or bars, but they are available in Japan? I can see these new owners driving the beer business to it’s demise while trying to focus on this spiked seltzer business, which will most likely also fail. So sad! I am willing to give them the benefit of waiting to see what happens next. I can think of more than one brewery that struggled to find its footing through ownership changes, and other significant tribulations, but eventually emerged victorious. And, Rick, spiked seltzer has been the cool new thing for 15 minutes and may only last for another 30 minutes. Beer isn’t going anywhere. We’ll see how they play the cards in their hand. Can’t one make that at home with vodka and a La Croix? I’m not clear on why you’d need to “brew” that. In case you are being serious, consider looking at this story I did last summer and maybe you’ll understand better why breweries (Schooner is not alone) have started to dabble in the world of hard seltzer.